TVB’s The Defected <鐵探> is a different kind of crime show for television. Starring three-time HKFA winner Kara Wai (惠英紅) with TVB star Benjamin Yuen (袁偉豪), The Defected focuses on the political battles between the higher-ups of the Hong Kong Police Force. In their strive for power, many other members of the police force are resorted to being mere chess pieces for their political games. The Defected is created by the team behind 2017’s My Unfair Lady <不懂撒嬌的女人>, which includes producer So Man-chung (蘇萬聰) and husband and wife screenwriting duo Chu Kang-ki (朱鏡祺) and Lau Siu-kwan (劉小群), best known for their work on the 2016 film Operation Mekong <湄公河行動>. According to Chu and Lau, story of The Defected was conceived over three years ago. 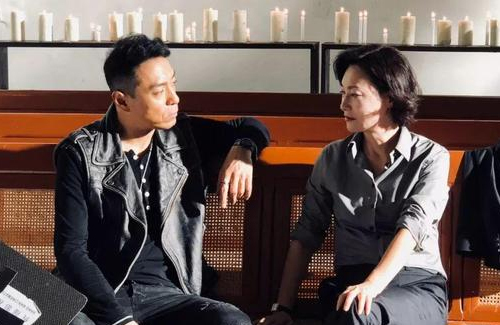 Despite appearing as an action-packed political thriller, the central theme of the show is humanity—that despite all the betrayals and the political battles, all the characters are striving to be the best “iron detective,” the show’s literal Chinese title. The Defective was given the blockbuster movie treatment—streets, bridges, and tunnels were closed down to allow filming. 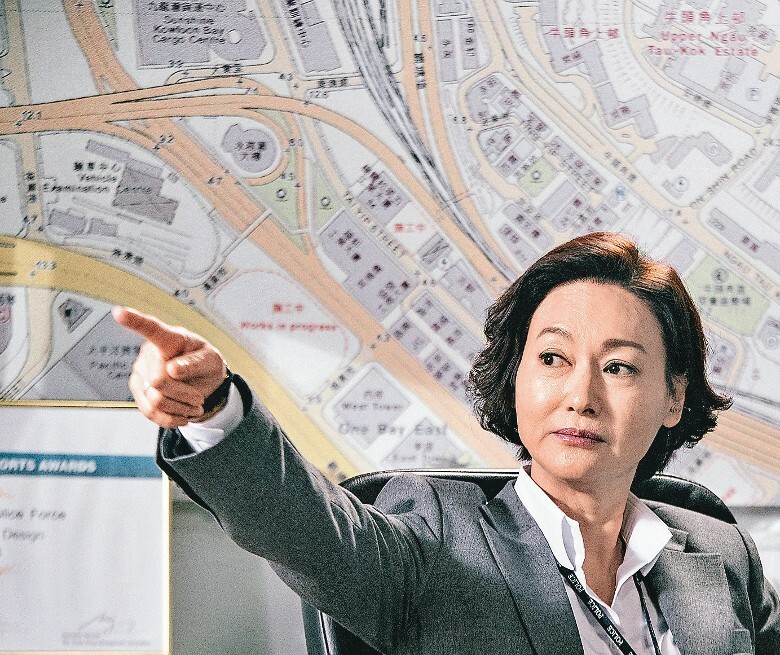 Kara Wai stars as Chief Superintendent Man Hei-wah, an ambitious leader who vies for the position of Commission of Police, the force’s “number one brother.” The Defected is Kara’s first TVB drama in 10 years, her last being 2010’s No Regrets <巾幗梟雄之義海豪情>. Fighting against Kara for the position of Commissioner of Police are Ben Wong (黃智賢), who plays CAPO Chief Superintendent Sam Ching and Benz Hui (許紹雄) as Senior Superintendent Kan Kwok-chu. Ben used to be a member of the SDU, but an accident rendered him paralyzed waist down. Kara and Ben’s scenes together will be pivotal to the plot, with the screenwriter recalling one particular scene involving the two of them exchanging dialogue that lasted six pages. Sharon Chan (陳敏之) will make a guest appearance as a police official, as Hui Shiu-hung’s ex-wife and Ben’s current wife. Mat Yeung (楊明) plays Kara’s son, Inspector Yau Lai-kit. Co-starring is Benjamin Yuen as Inspector Sheung San, who suffers from PTSD after surviving a nearly-fatal shot to the head. Benjamin lost over 20 lbs for the role. He and Grace Wong (王君馨), who plays his girlfriend, have a daughter together. 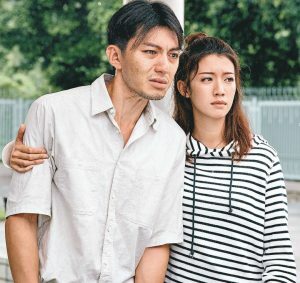 The Defected is also regarded as Benjamin and Grace’s reunion of sorts, as the two had previously played a couple in 2016’s award-winning A Fist Within Four Walls <城寨英雄>. 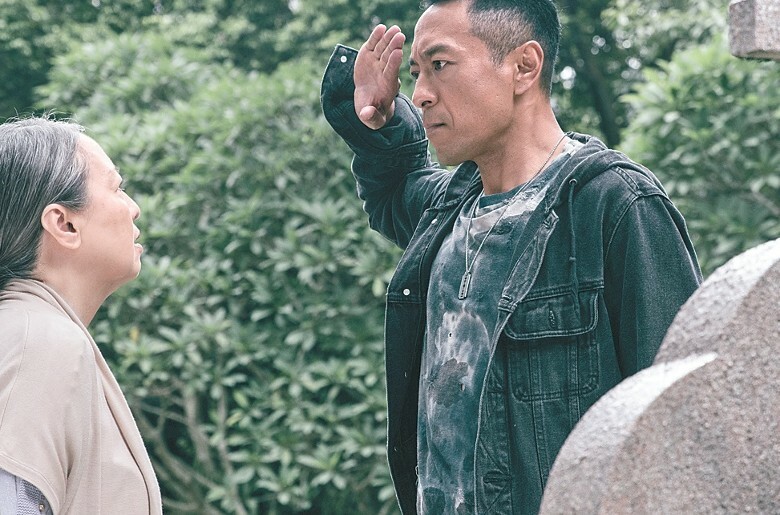 Also co-starring is Philip Keung (姜皓文), who plays the undercover cop Bingo, who has a complicated relationship with his handler, Chief Superintendent Man. Bingo’s loyalties start to waver after realizing his handler’s ulterior motives. The Defected is co-produced by China’s Penguin Pictures. It will premiere April 1 in Hong Kong. What a waste of Kara and Philips talents. @anon My thoughts exactly! Luckily there are other productions with both artists in them that are worth the watch (the movie Tracey for example) so skipping this one won’t be an issue for me. @llwy12 Why is Kara so patient with TVB? She obviously has a market and a recognition in entertainment circle. So I wonder why she keeps filming for TVB for all those kelefe roles. She could’ve been leads in many of their series, especially ones that have fight numbers. @jjwong Kara is too nice for one, and she also comes from the generation of artists who are truly grateful for the opportunities they got back when the HK entertainment industry was at its most glorious so now when the industry is in decline, they are willing to sacrifice for the greater good and prop the industry back up. This is also one of the main reasons why so many of the veterans from the 70s/80s are willing to return to TVB and help them out with filming series despite previous crappy treatment. I hate that it happens that way, but unfortunately that will continue to be the reality as long as that generation is still around. @llwy12 I can respect her and other vets who’s lending help for the greater good. Unfortunately they’re only putting a bandaid over the problem. TVB will not learn / improve without tough love. Similarly, HK entertainment will not survive when they continue to recycle the SAME actors/actresses from 70s, 80s, 90s. I mean how many movies have Nick C, Louis K, Andy L, etc produced AND stared themselves instead of grooming the next gen. I floored when that one movie used CGI to make Nick and Sean young. Geezes, talk about monopolizing! Lol. Anyways, this is a pass for me too. I’m not confident in TVB ability to really step outside their box for a good script. Most people would have retired after having a child at grandpa age,after falling off a horse, and nearing 60 years old but Andy is too addicted to the fame and can’t sope without the spotlight. Even if other actors and crew will have to go out of their way to babysit him during action scenes he will continue creating movies and putting himself as the only lead actor with all the others in extra roles…. both kara and phillilp are great actors. i don’t understand why it took tvb such a long time to pull phillip over. @m0m0 if i remembered correctly, he was a long-time actor for atv. Sounds intriguing. A lot of potential for some great performances.